Age 89 of Portsmouth, went to be with the Lord Tuesday, September 4, 2018 at Hillview Retirement Center in Portsmouth. She was born October 17, 1928 in Millard, Kentucky to Emit and Leona (Adkins) Kelly. 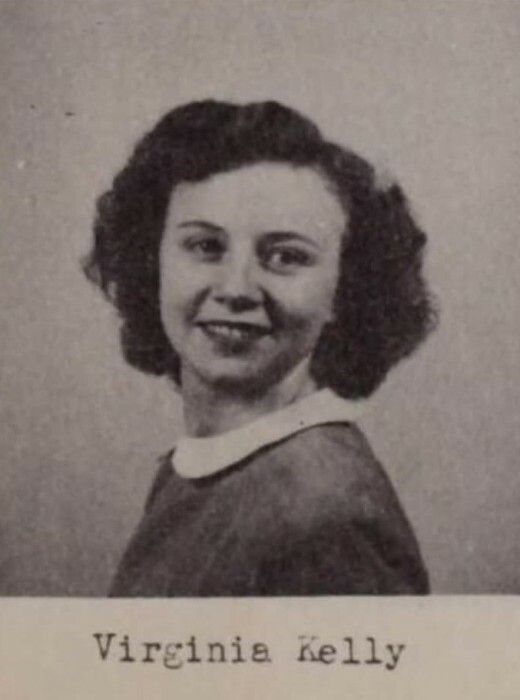 After completing high school and technical college, Virginia became the office manager at Vandervort’s Hardware in Portsmouth where she worked until her retirement. She attended Temple Baptist Church in Portsmouth and was an avid supporter and member of the Golden Bears at Shawnee State University. She is survived by three nephews, Ralph (Freda) Kelly, Paul E. Kelly, II, and Randy (Rhonda) Otworth; two nieces, Kathleen Kelly May and Tracy (Terry) Cesar; sisters-in-law, Neva Bland and Julia Kelly; several great-nieces and nephews. In addition to her parents, she was preceded in death by her husband, Donald Johnson; two brothers, Paul E. Kelly and Billy Lester Kelly. Funeral services will be held at 1:00 p.m. on Monday, September 10, 2018 at D.W. SWICK-NELSON FUNERAL HOME in New Boston with Pastor John Gowdy officiating. Friends may call one hour prior to the service. Interment will follow at Sunset Memorial Gardens in Franklin Furnace. Online condolences may be shared at www.DWSwickNelsonFuneralHome.com.